Think of the perfect conditions for playing golf: warm, sunny climate with little rainfall; gentle geography with big spaces open to the sea and the mountains; and numerous fully equipped courses. 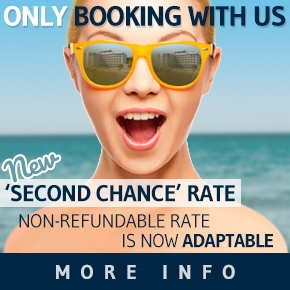 This combination is the one you will find if you’re looking for an amazing Marbella golf holiday, since the Costa del Sol, with its 70+ courses, is the No. 1 destination in Europe for golf. Can you think of a better place than the Marbella golf courses to play this sport? They are excellent. Their services bring in thousands of tourists from around the world, who each year visit the Mediterranean city to enjoy an unparalleled climate. 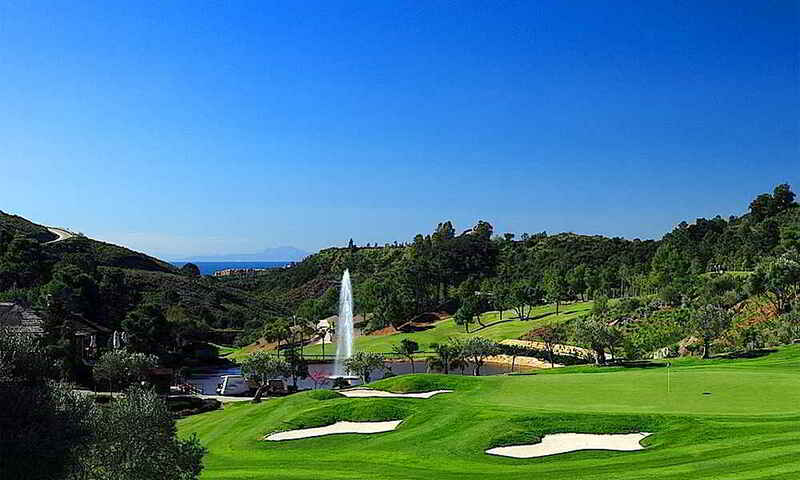 Málaga’s numerous attractions undoubtedly include Marbella golf. Marbella golf clubs stand out for their luxury and comfort or high level, since they have a five-star rating, offering both the experienced and beginner golfer continued and high-quality golfing, which is perfectly complemented by the player’s taste and style. Whether you are an expert or a novice, you will enjoy practicing this sport in Marbella. You will find all manner of courses with 9 and 18 holes. 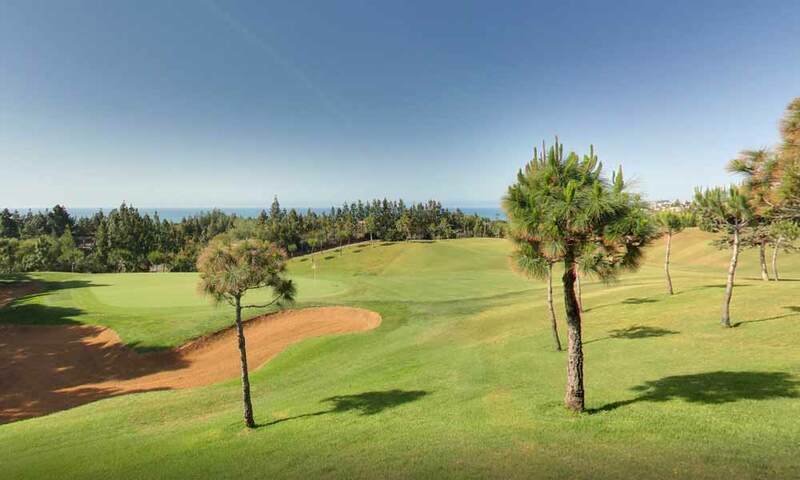 They also offer you a possibility you will definitely like: playing on a green with view of the Mediterranean Sea. Courses such as Golf Rio Real, Los Naranjos Golf, La Quinta Golf & Country Club, Real Club de Golf Guadalmina, Marbella Club Golf Resort, Marbella Club Golf Resort, La Cala Resort, Finca Cortesin Golf, Santa Clara Golf Marbella, Atalaya Golf Marbella, Club de Golf Valderrama Marbella Golf Country Club, Valle Romano Golf & Resort, Chaparral Golf Club or El Paraíso Golf are a perfect option for this. 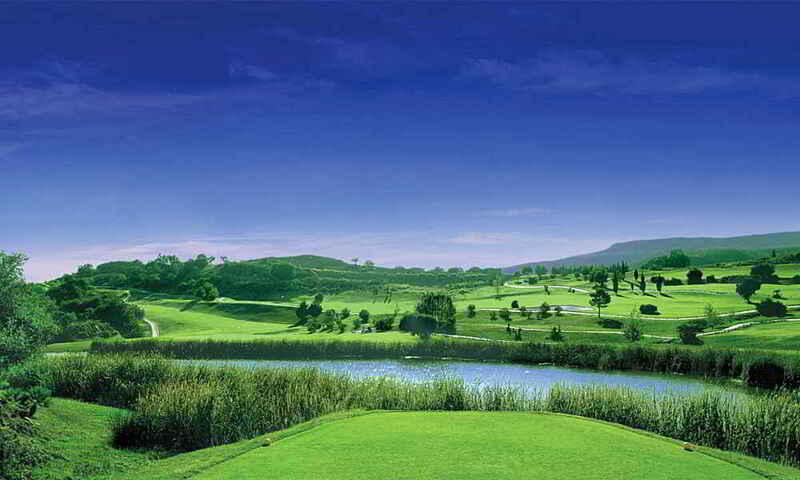 The Rio Real golf course was designed by legend Javier Arana, considered the all-time best Spanish designer. Nestled in the most privileged spot of Marbella, just 5 minutes from the city centre, the course was inaugurated in 1965. Its design is that of a spectacular 18-hole, par-72 course, measuring more than 6,000 metres in length, considered by the Royal Spanish Golf Federation as an emblematic course and one of the best in Spain, both in terms of the course itself and its singular beauty. The field is lined by lush woodland comprising a range of different species: pines, palm trees, beefwood, olive trees, cypresses, etc. which make it the perfect haven in which to enjoy golf, whether on foot or from the comfort of a buggy. Thanks to the Mediterranean climate, play is possible throughout the year, with holes bordering the coast and offering spectacular views. The course has been adapted to all types of players, including higher holes that are particularly special in that golfers must use the whole range of clubs in their bags given the specific features of the holes that make up the course. Los Naranjos was designed by Robert Trent Jones Sr. and is classic in that its fairways are particularly wide and its bunkers and water obstacles are strategically located. The greens, fitted with Penn A4 grass, are spacious and rolling. The tees are long and feature four positions: red, yellow, white and black, with course lengths that vary from 5131 to 6532 metres. 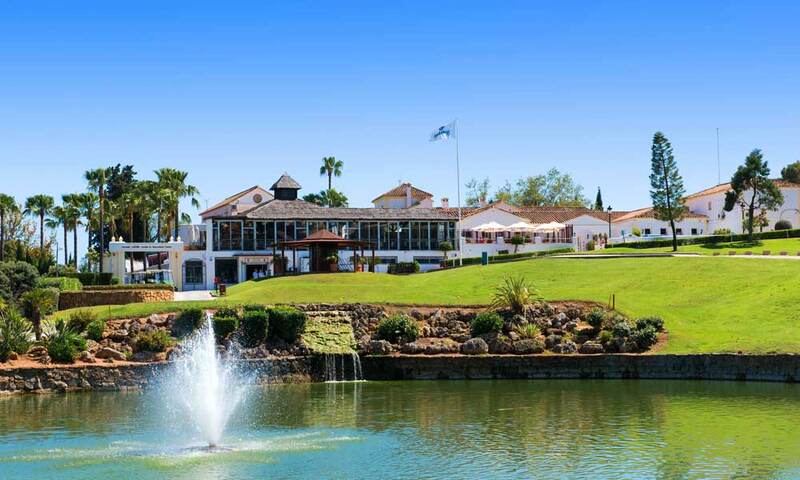 Since its inauguration in 1977, Los Naranjos has played host to a range of important golf events such as the Marbella Ladies Open and the PGA Professional Championship, to name just a couple; furthermore, it has been ranked amongst the best in Spain. 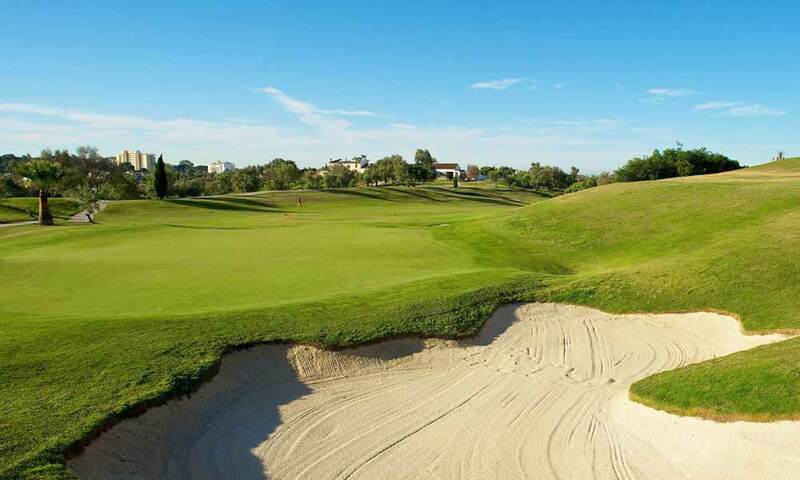 Designed by the three-time World champion and Ryder Cup champion, Manuel Piñero, this is one of the most attractive courses in the area, adapting to all levels of play. It satisfies the needs of both golf aficionados and professionals. It is renowned for the speed of its greens and the service quality offered at the golf club. 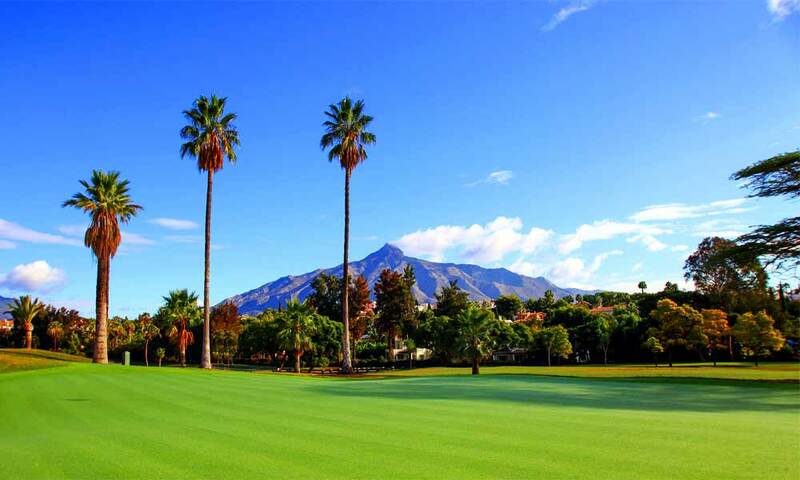 La Quinta is home to 27 holes, divided into 3 courses of nine holes, which form part of an exceptionally breathtaking natural paradise, from where visitors can enjoy views of the Mediterranean that baths Marbella and the mountains that encompass the Golf Valley of Benahavís. The combination of these three courses opens up a world of possibilities for golfers. Both the design of the courses and the club’s technical facilities have been refurbished, and it is now one of the stops on the European Tour; the hosting of different editions of the Benahavís Senior Master or the Spanish Women’s Open serve as a testament to this. The Real Club de Golf Guadalmina is Marbella’s most popular private club. It is home to two magnificent courses, one to the south and another to the north. The southern course is known for its difficulty and toughness, which makes it perfect for experienced players. The fairways of Guadalmina Sur are narrow and lined by towering trees, which also provide welcome protection from the sun in summer, forcing players to act with the utmost in precision. The northern course is shorter than its sister course, located on rolling terrain and features more water obstacles . Its layout demands that players play the centre of the fairways, as otherwise, they can end up in the various water obstacles hidden in the rough. From the mountains to the Mediterranean, taking in Gibraltar and the African coast… The views from Marbella Club Golf Resort really are breathtaking. This exclusive 18-hole course, designed by Dave Thomas, was specially designed with the maximum enjoyment of each round in mind: the careful maintenance of the greens, the spectacular views throughout, the surprising elements that dot the landscape and the elegant lakes make for an experience that you will be dying to repeat. To protect the tranquillity of the course’s users, play is limited and 12-minute breaks have been introduced between tee-off times. Unlike other commercial golf courses, the service is linked to a 5-star hotel, with staff tasked with collecting your clubs and placing them into carts. 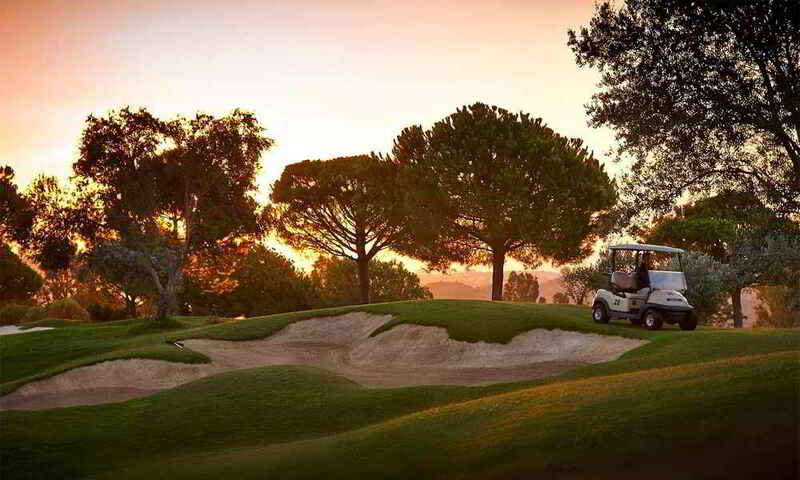 It is no secret that La Cala is one of the best golf resorts in Andalusia. Home to three magnificent courses designed by the famous Cabell Robinson, each of its 18 holes has been created to ensure you enjoy a truly stimulating experience. The America course offers breathtaking views over the Sierra de Ojén and the Mediterranean. Its wide fairways with limited bunkers make this a relatively easy course. The greatest difficulty it poses is associated with its mountainous terrain, with slopes covered in bushland and small elevated greens that means golfers have to think carefully before choosing their club. The Asia course is the oldest at La Cala Resort and is also the most challenging, garnering respect from golf professionals. With narrow, short fairways and par-5 holes, a certain level of expertise is called for, particularly in terms of short approach shots. Amongst the holes on the Asia course that require particular expertise are: hole 10, with its classical design; holes 3 and 14, given their hazards; and holes 5 and 18. The approach to these holes is a deciding factor in obtaining a good score. The Europe course is a little wider than the other two courses at La Cala Resort. Given its layout, with wide fairways and over flat terrain, it is the perfect course for intermediate golfers It stands out on account of its main bridge and another four bridges that cross the Ojén River, in addition to its tunnels for those travelling by buggy. Hole 14 is within the limits defined for par-3 holes, measuring just 233 metres. Hole 11, a par-5, is the longest, measuring 524 metres. Extending over more than 7,000 metres from the professional tees and with more than 100 bunkers, Finca Cortesín Golf Club is one of the best golf courses in Spain according to several specialised international golf media. The course was designed to blend in with the Mediterranean landscape and the natural surroundings and as a result, this golf club is particularly famous worldwide. Furthermore, the excellent climate is ideal for enjoying golf throughout the year, an essential quality that extends the playing season in Marbella. The design, crafted by the hand of Cabell B. Robinson, and the landscaping of Herald Hurgan ensure that the natural features of the region in which the course is located are in perfect harmony with the surrounding wild landscape. Opened in 2001, Santa Clara Golf Marbella is an 18-hole golf course, designed by Enrique Canales Busquets and located just a few minutes from the city centre. It is one of the most noteworthy golf courses on the Costa del Sol given its respect for the natural plant life and native vegetation, converting this into a fantastic meeting place for golf fanatics. It forms part of a property complex expanding over 150 hectares with spectacular views of the Mediterranean. Over the length of the course, golfers have the experience to enjoy a stimulating and unforgettable experience which serves as a calling card for future visits. The most noteworthy holes at Santa Clara Golf Marbella are those that make up the so-called “Amen Corner”: holes 12, 13 and 14. Hole 12 is a downhill par-4 hole measuring 400 metres in length, with views of Estepona bay and Gibraltar from the tee. It is a highly competitive hole, in which the wind has a significant impact on the outcome and play. Hole 13 is a par-3 hole measuring 182 metres in length, protected by a lake in front of the green. Hole 14 is a handicap 1, par-5 hole measuring 524 metres. The hole is very long and is a favourite amongst the professionals who play the circuit. Santa Clara Golf Marbella is the only golf course in Marbella to have achieved ISO 9001 certification, making course maintenance and quality service an essential priority. Atalaya Golf Marbella is one of the sunniest golf clubs in Costa del Sol. 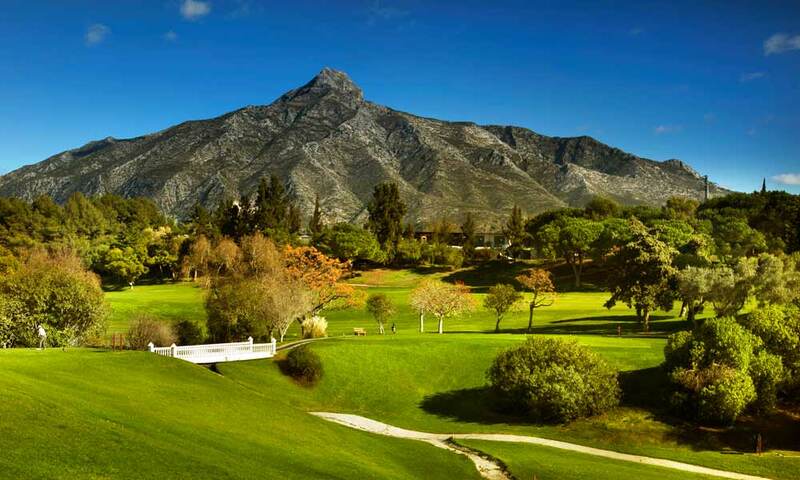 Located on the fringes of the Sierra Blanca, it is home to two spectacular 18-hole golf courses, located amongst stunning eucalyptus trees, plants, palm trees and white and pink azaleas that fill the air with the unmistakable and intoxicating aroma of high-quality, prestigious golf. The golf club is more than just a social club, open to guests and professionals, which strikes a difference compared to the emerging competition. A pleasant buzz can be heard in the area surrounding the club house, where members meet with guests who are warmly welcomed here. 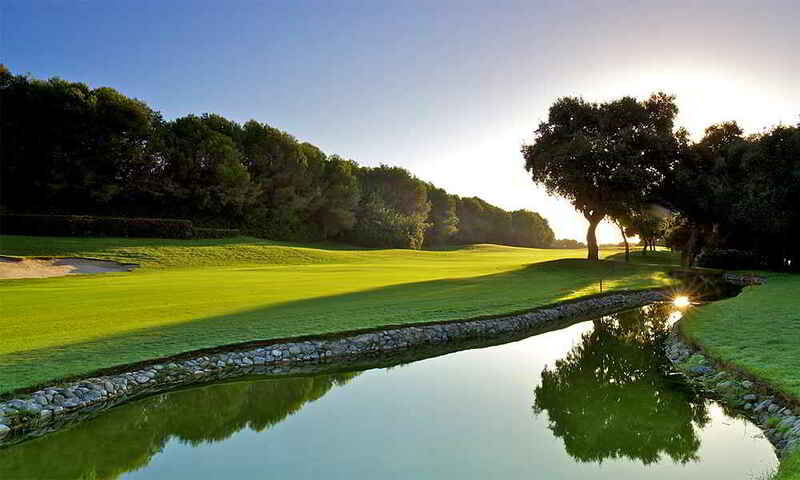 Club de Golf Valderrama is home to an 18-hole golf course which serves as a reference point for Spanish golf. It is located on the Costa del Sol, in the province of Malaga. It has played host to the Volvo Masters, one of the most prestigious events held in Europe, on various occasions. It was designed by Robert Trent Jones and has been constantly renovated since its construction. Anybody who is lucky enough to play at Valderrama, which is no mean feat, will come face to face with a demanding and complex course that calls for maximum concentration during each swing. This is another of the golf courses in Marbella designed by Javier Arana, the Spanish golf course designer who has contributed most to the development of this sport in Spain. 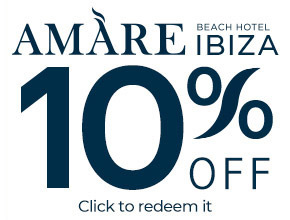 It opened in 1975 and is located opposite Puerto Banús, in the area known as Valle del Golf in Marbella. Its rolling terrain is dotted with trees and plants, as well as lakes and fountains. It has spectacular views of the La Concha Sierra and the Mediterranean. It is a parkland style par-72 18+9-hole course, that runs for 20,646 feet from the white marks. The tee requires precision and the green calls for a good approach. Each of its holes has its own personality that is expressed in its name. Hole 1, for example, bears the name of the prestigious Malagan golfer Miguel Ángel Jiménez and Hole 10 is dedicated to the course designer Javier Arana. The Aloha Golf Club has hosted different international sports events, including the Andalusia Open on several occasions. It also has a magnificent practice course, a short par-3 course and facilities for playing other sports. 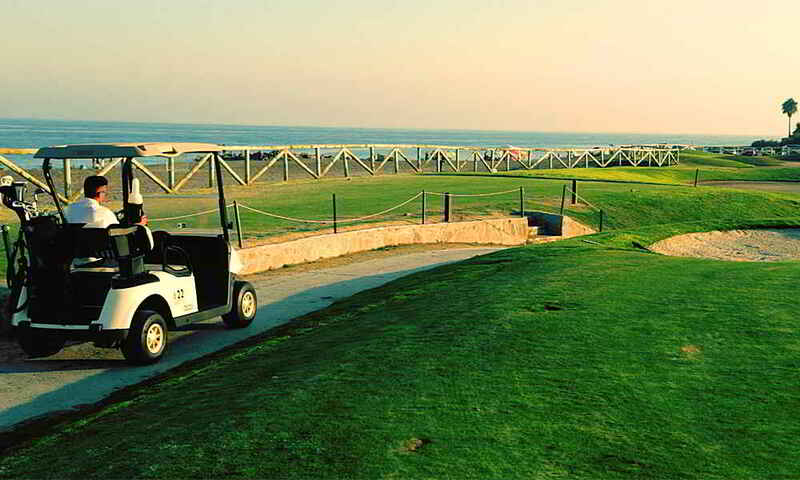 This golf course is located opposite Cabopina Marina. It was designed by the architect Juan Ligues Creus in 2001. It runs for 16,962 feet and has 18 holes and is rated par 71. It has spectacular views of the Mediterranean and pleasant vegetation dominated by wide-topped pines. 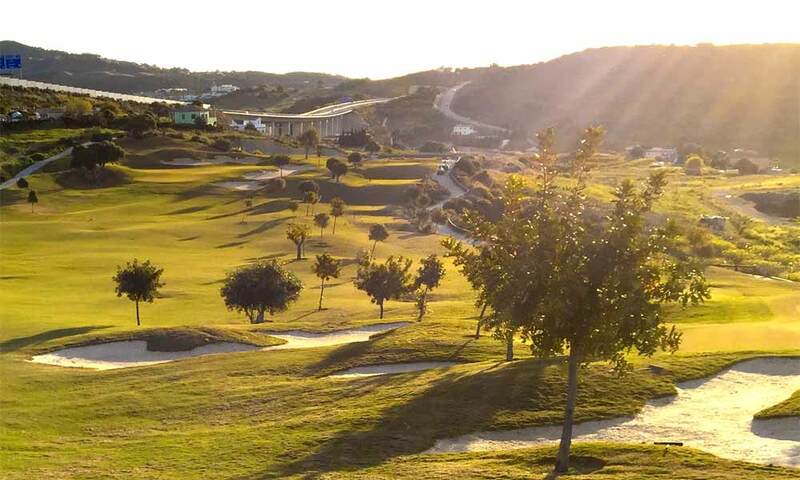 They say that Hole 3 is the most spectacular and beautiful on the Costa Del Sol. It is rated par 4 with an uphill exit and a green surrounded by bunkers, with a 262-foot slope. 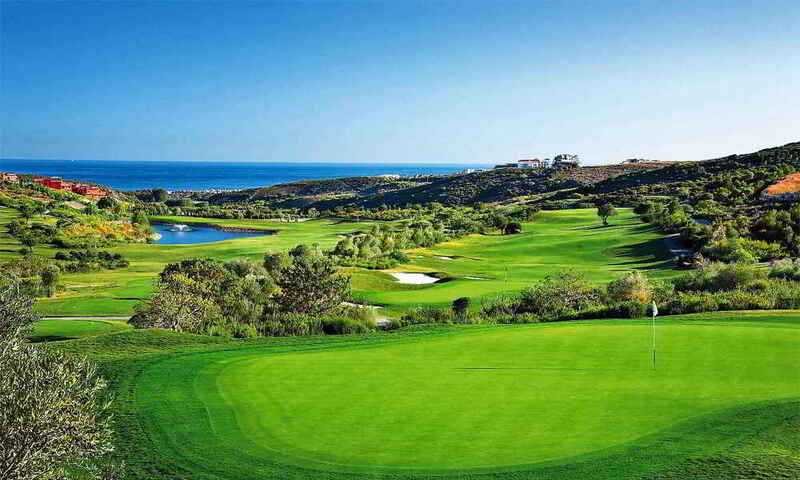 Another outstanding hole of Cabopino Golf Course is Hole 14, since it is the longest. Its facilities also include a practice course and a golf school that offers classes for different age groups and levels of ability. 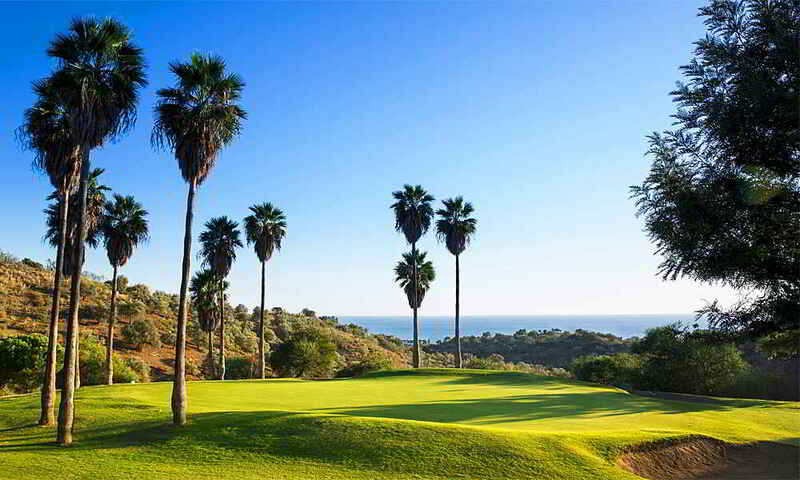 Cabopino Golf is ideal for experienced golfers with high handicaps. This golf course opened in 2000 and is located in the Elvira Hills development. It has a course that runs for 3,747 feet, with 9 par-27 holes. The shortest hole is 292 feet long and the longest is 643 feet. Its paths are narrow and well-tended, and it is surrounded by beautiful vegetation. It is the perfect course for beginners and those seeking to perfect their game. Greenlife Golf Club also has amazing facilities for playing other sports, a magnificent clubhouse and one of the most exclusive restaurants in Marbella: El Lago Restaurant that has been awarded a Michelin star. 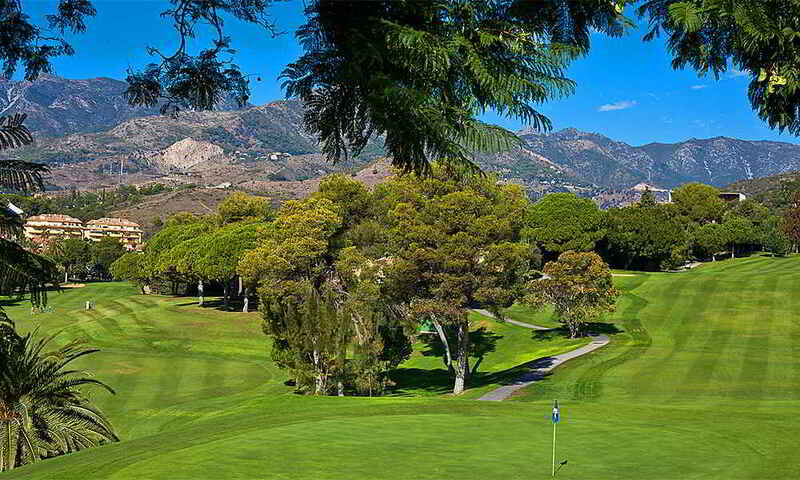 This is one of the most traditional golf courses in Marbella. It opened in 1968 and is the work of the prestigious US designer Robert Trend Jones, author of other golf courses in Andalusia. 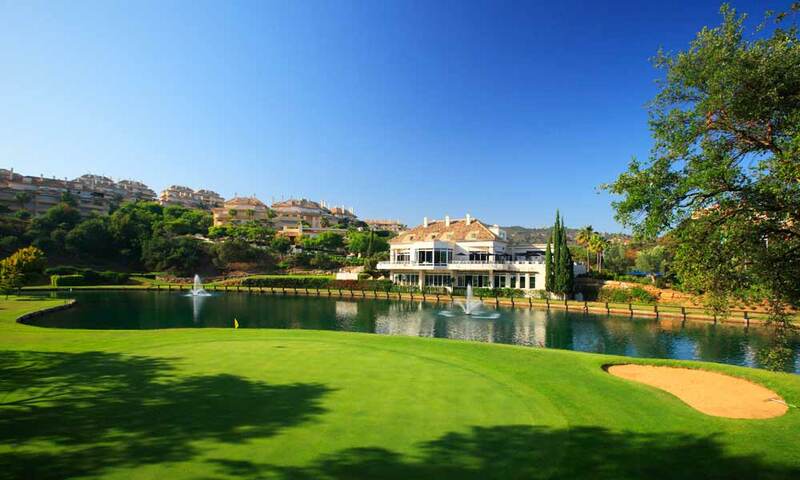 It is located behind Puerto Banús, in the Nueva Andalucía development, within what is called the Valle del Golf. It is a par-7118-hole course that was rebuilt in 2015 by Kyle Phillips. It route is dotted with plants and trees from all continents, in the style of a botanic garden; a beautiful landscape work designed by the English designer Gerald Huggan. It also has numerous artificial lakes, with greens that are mainly elevated and protected by bunkers. It has hosted some of the most important national and International competitions, such as the international cups SS.MM. el Rey y la Reina, the Spanish Open, the Nations Cup and the World Cup. It is an attractive, albeit difficult course, so the golfer has to be very precise. The Real Club de Golf Las Brisas was founded by José Banús with the name Club de Golf Nueva Andalucía. Par-70 18-hole golf course, ideal for experienced golfers and beginners. It is located in Marbella, in an area surrounded by pine and cork trees, with views of the Mediterranean. It opened in 1991, first with 9 holes designed by Antonio García Garrido. The remaining 9 holes came later and were designed by the club’s technical team. The Santa María clubhouse is another of this golf course’s attractions. A magnificent, two-storey Spanish country house surrounded by extensive gardens. Its restaurant also stands out, along with its tennis courts and excellent bowling green. 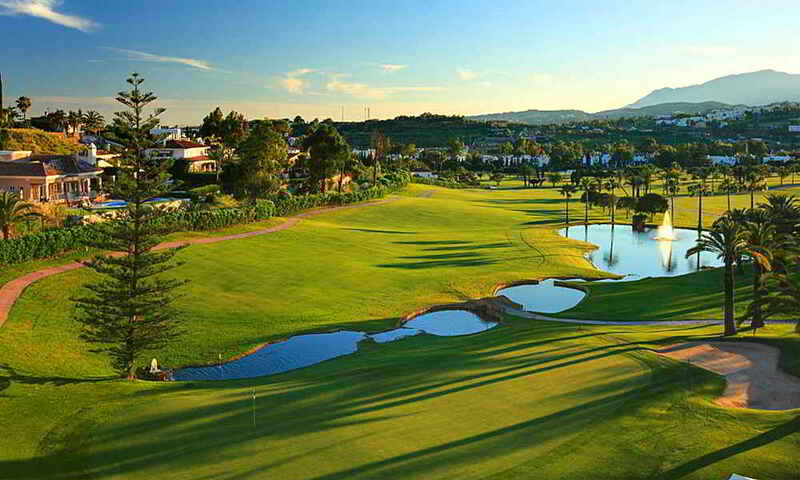 This golf course is located right in the heart of the Costa del Sol, a few miles from the city of Marbella. It was designed in the 1980s by Robert Trent Jones Senior and occupies one of the largest green areas that is still preserved in this built up zone. At this course you can enjoy 18 par-72 holes designed with the idea to always have the least impact on the natural heritage it occupies (green hills and olive groves), enabling the most to be made of the amazing panoramic view it has with the Meditteranean in the background. 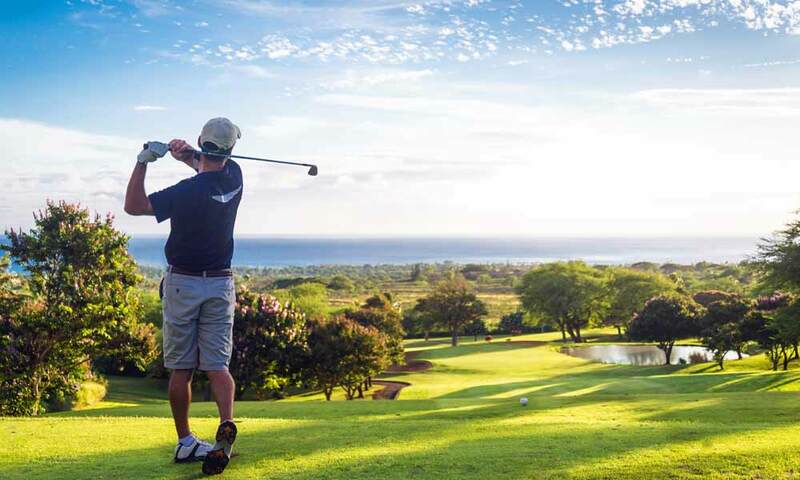 Valle Romano Golf is a spectacular 18-hole course with an average of 5 tees per hole and extensive greens, all constructed in accordance with the standards of the United States Golf Association of America, so it is always ready to hold the most prestigious tournaments. This golf course is located in a privileged place, since even though it is only 2,300 feet from the sea, it is also surrounded by a beautiful leafy forest. It is not an excessively large course, but it has a wide range of holes (it is the only one offering 6 par-5, 6 par-4 and 6 par-3) so it is perfect for all levels, though the course at some points requires rather a lot of precision and expertise. Paraiso Golf CLub is a beautiful course designed by Gary Player and Kirby in 1973. It has some broad streets for walking. 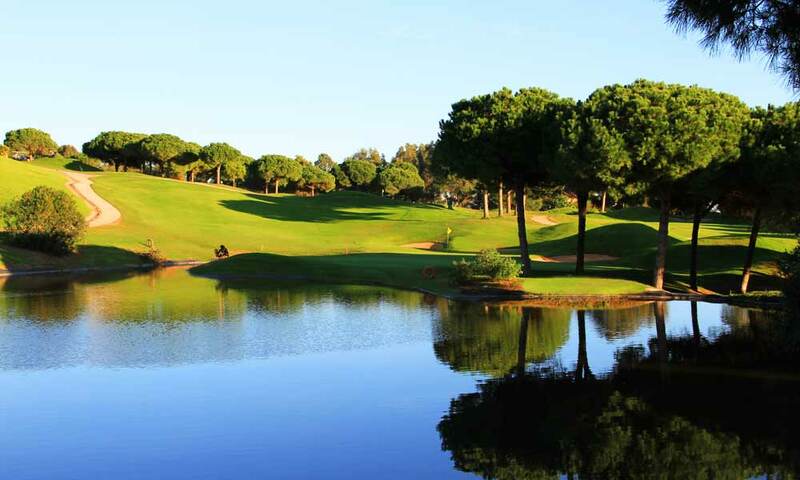 Here you can enjoy the best sport while strolling through palm trees, neriums, pine trees and olive trees, as well as two streams and two lakes that add to the course’s spectacular beauty.